Judith was born in Christchurch, New Zealand - a late and only child - into an extended family of Great Grandmother, Grandparents, Aunt and Uncle and her parents.Her earliest memory of making art was at kindergarten. Her Grandmother kept the drawing and Judith has it to this day. Much of her life as a child was spent alone and she drew from her environment illustrating on every blank piece of paper she could find documenting adventures and drawing from her imagination. 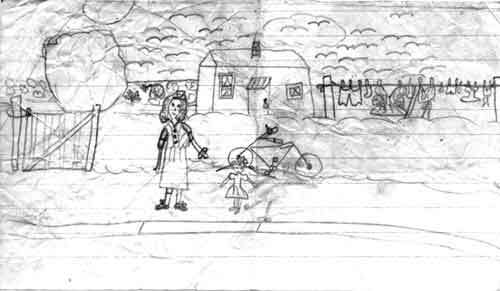 Drawing by Judith aged 7 yrs on her mother's office paper. Judith studied hard at ballet from the age of 5 years continuing until she was 18 when she achieved her Solo Seal. 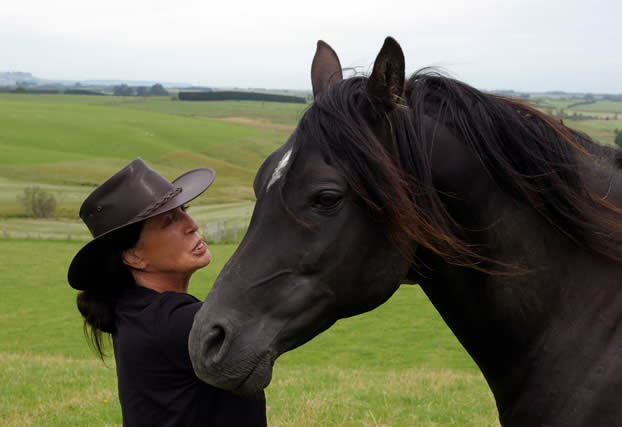 A further passion was horse riding, an interest which has emerged in her artworks over the years. She worked as a commercial artist after secondary school and married and had two sons by the age of twenty. 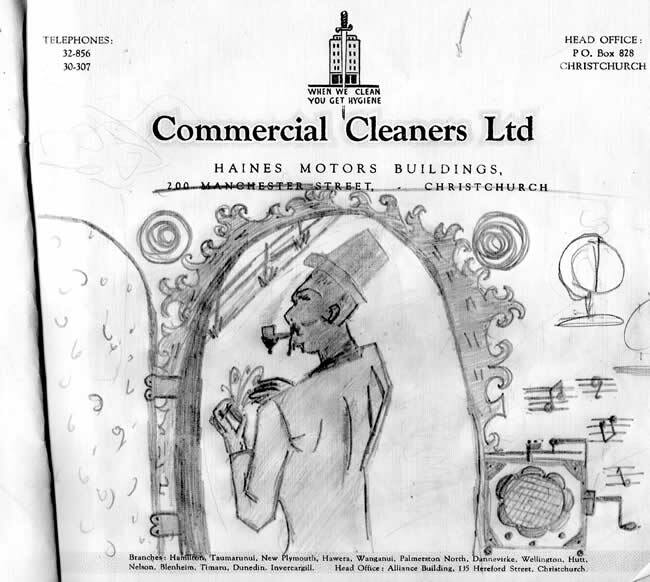 Later she illustrated for the Christchurch Star on the childrens' page. After bringing up her children she returned to her art work enrolling in a graphic arts course at Christchurch Polytechnic where she studied etching and other printmaking techniques.In her late thirties Judith married a second time to a professonal potter and was introduced to clay as a medium. She worked making ceramic sculptures and exhibited frequently with her husband in galleries throughout New Zealand. After moving to Dunedin in 1986 Judith returned again to her first love painting in both oils and watercolours. Since that time she has exhibited widely in both public and private galleries nationally and internationally. 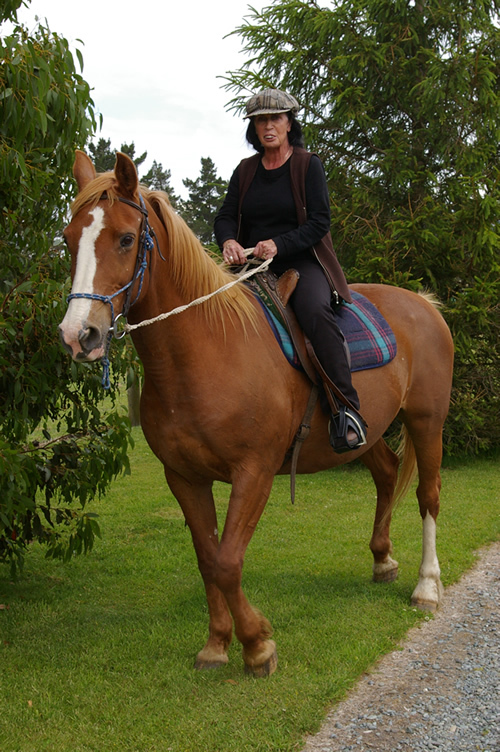 Judith now lives with her husband at Bromley Cottage, Five Rivers, Northern Southland, New Zealand where she has enjoyed a return to riding and her love of gardening.